APCUG PUSH Articles and Reviews – February 2016 – SouthEastern Michigan Computer Organization, Inc. Thanks to APCUG, APCUG-member organizations and their newsletter editors, and Bob Clyne, there are several very interesting articles available to us as SEMCO members. Due to content restrictions from the author/publisher, the linked posts below are not available to the public. Please join SEMCO as a paid member to view the contents of these posts. 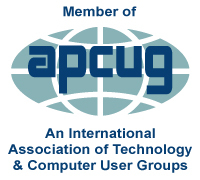 Our members have full access to APCUG PUSH General Articles and Reviews. If you are a SEMCO member, please log in for full access.